A Commercial Driver’s License (CDL) is required in the United States to operate any type of vehicle which has a gross vehicle weight rating (GVWR) of 26,001 lb (11,793 kg) or more for commercial use, or transports quantities of hazardous materials that require warning placards under Department of Transportation regulations, or that is designed to transport 16 or more passengers, including the driver. This includes (but is not limited to) tow trucks, tractor trailers, and buses. 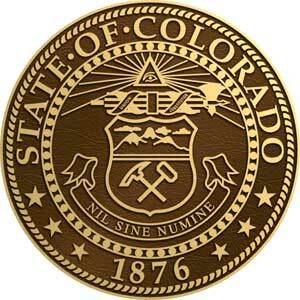 Before applying for a Colorado commercial instruction permit, you must first hold a valid Colorado Driver’s License. The CDL permit is required before the CDL driving skills test may be administered. 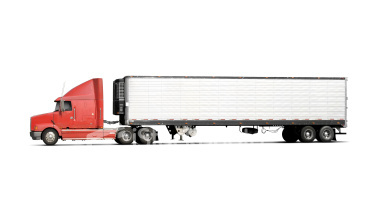 When both the written and road tests are completed, a CDL can be issued. Testing is in your vehicle and the cost is $225.00. Skill’s Test Preview’s and Refresher Programs are also available. Step #2 – Schedule Appt. Once you pass the required written test(s) and are issued an instruction permit, you then can schedule and take the CDL driving skills tests (Step #3, 4, 5). CDL Testing in Colorado is no longer done at the Driver’s License branches. The CDL Skills Test is now administered through third-party testing centers, such as Colorado CDL Testing which are licensed by the State of Colorado CDL Compliance to provide third party Colorado CDL testing. Now that you have your permit, you’ll want to schedule an appointment with a licensed testing center to complete Step #3, 4, & 5. To schedule an appointment with Colorado CDL Testing, please complete the form below. *Do you own your own truck? ---I have my own truck.I need to rent a truck. Helpful Notes: As a professional driver, you have a moral and legal duty to yourself and other motorists to conduct a thorough pre-trip inspection of your vehicle. It takes practice to perform a quality pre-trip inspection… do a vehicle inspection the same way each time. A systematic means to your inspection is the secret to an efficient and accurate inspection without the chance of overlooking key system parts. 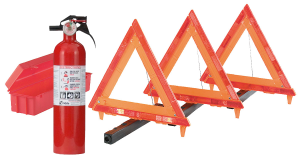 – Required by law, each truck should have a properly rated fire extinguisher and three red reflective triangles. – In trucks with electronically-controlled engines, the needles on all gauges will make a full sweep after ignition. This self check function ensures that all guages are working properly. As of 2010, according to the American Transportation Research Institute, 29 states have instituted anti-idling laws requiring big-rig truck and bus operators to reduce nonessential idling. Name some things you should check on the front of your vehicle during the walk around in-spection. You will be scored on the number of times you touch or cross over an exercise boundary line (marked by cones and painted lines) with any portion of your vehicle. Each encroachment will count as an error. You will be given the opportunity to exit the vehicle once per maneuver to check for vehicle positioning. However, and excessive number of pull-ups, looks, or encroachments will result in an automatic failure of the basic skills test. It’s important that you finish each exercise exactly as the tester has instructed you. If you don’t maneuver the vehicle into its final position, you will be penalized. Getting a feel for basic control and practicing these skills is the next step towards becoming a professional driver… professional drivers continue to master and polish driving skills. Helpful Hints: The key to backing your rig in a straight-line is to recognize what direction the trailer is drifting and make neccessary adjustments immediately. *Survey BOTH outside mirrors. You must demonstrate properly double-clutching on all conventional transmissions while on your road test. 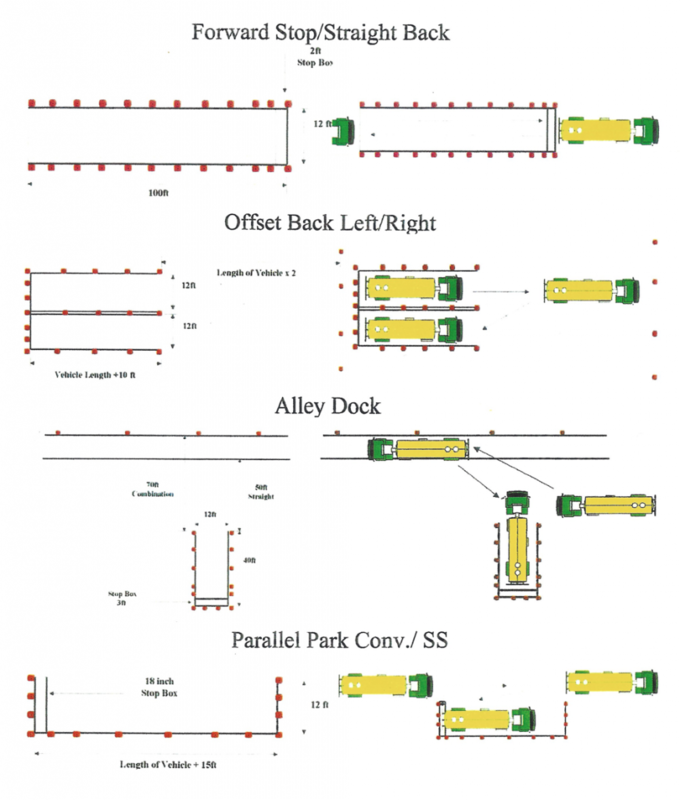 Helpful Hints: In all your backing maneuvers, PROPER SET-UP IS KEY… proper set-up positioning is everything. How to safely enter and exit a cab: Use the three points of contact / stance when your taking your CDL Skills Test. Three points of contact can be described as either two arms and one foot, or two feet and one arm. 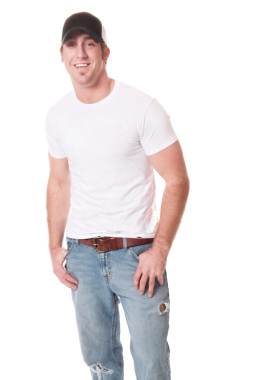 Wear footwear appropriate to your work and weather! When should you downshift automatic trans-missions? The purpose of the road test is to determine if the driver has the minimum level of skills to drive in most traffic situations and demonstrate knowledge of being a safe driver. How far ahead does the handbook say you should look? What is your most important way to see the sides and rear of your vehicle? Where should your triangles be placed when stopped on a divided highway? How do you find out how many seconds of fol-lowing distance space you have? What are some tips to follow so you will not become a distracted driver? You can safely remove the radiator cap as long as the engine is not overheated. True or False? What factors determine your selection of a “safe” speed when going down a long, steep downgrade? Why should you be in the proper gear before starting down a hill?Describe the proper braking technique when going down a long, steep downgrade. What type of vehicles can get stuck on a rail-road-highway crossing?